Halloween is just about a week away and candy bowls are already overflowing with chocolates, candies, and treats in anticipation of trick-or-treaters. 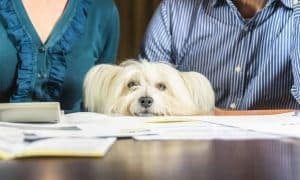 With more than half of American households sharing their home with a dog, it’s important to know what treats are dangerous, even deadly, to our furriest family members. 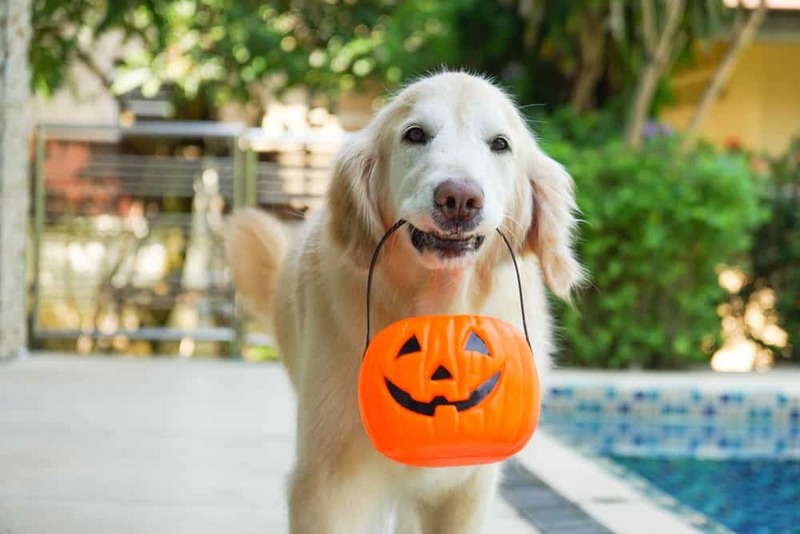 The days leading up to and following Halloween are one of the busiest times for the Pet Poison Hotline who take calls from concerned pet parents after their dogs sneak treats from the candy bowl. While not all candies pose a serious threat to your pet, many of the popular treats you’ll see this Halloween can be dangerous. 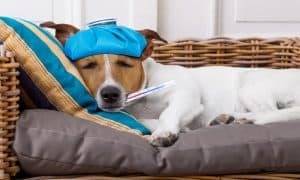 So, Dr. Gary Richter, a Veterinary Health Expert with Rover.com ranked some of the most popular candies and gave advice on what to keep well out of reach this Halloween. 4. All of the items containing milk chocolate. There is very little actual chocolate there but a small dog ingesting a large quantity can be an issue. Also, the sugar, fat, etc can lead to gastrointestinal upset. 5. All of the non-chocolate sugary stuff. There is a potential for GI upset here but not much else. 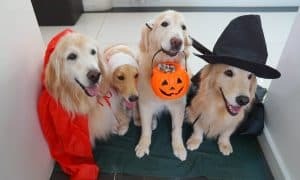 What are the biggest dangers of Halloween for pets? Dr. Richter: Chocolate is toxic to dogs and cats. The relative level of toxicity is related to the amount ingested, the type of chocolate, and the size of the animal. Smaller animals and larger amounts of chocolate are the most potentially dangerous combination. Symptoms of chocolate toxicity include hyperactivity, tremors, elevated heart rate, and seizures. Chocolate can be fatal in high enough quantities. The most toxic chocolates are the ones with the highest level of cacao. 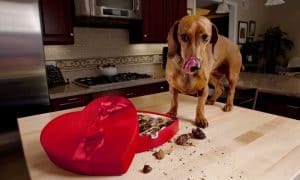 • Overeating and/or eating inappropriate things such as candy or other treats, wrappers, decorations, etc., can lead to GI upset (vomiting and diarrhea) in many pets. 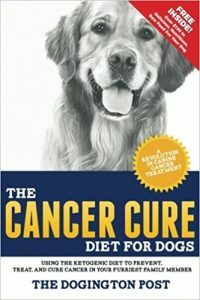 • Artificial sweeteners, xylitol specifically, is highly toxic to dogs and cats. Sugar free gum and other “low calorie” foods frequently contain xylitol. Ingestion of xylitol can lead to low blood sugar, seizures, and/or liver failure. • Some Halloween candy may contain other toxic ingredients for pets. 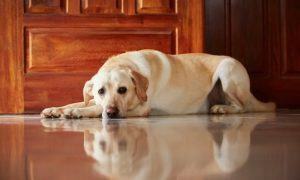 Raisins can cause kidney failure in dogs. • One last non-food related Halloween issue is runaway pets. Costumes and loud voices and the front door being opened frequently may be an invitation for a dog or cat to become frightened run away. Q: How do you avoid them? The best way to avoid emergencies associated with Halloween candy is to make sure everything is well out of reach of pets. 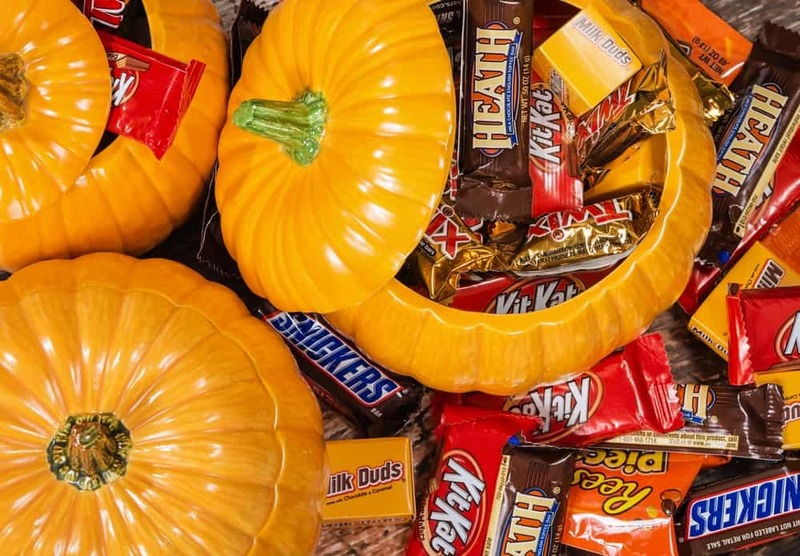 Excited (and over sugared) kids may get careless and leave candy lying around. Be sure to patrol the house and make sure everything is put away. Remember, dogs are opportunists. They are going to be on the lookout for illicit treats! Make sure pets are secured during Halloween. 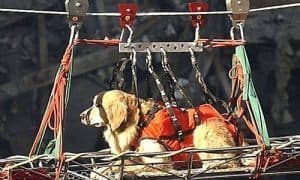 If possible, keep them safely in a part of the house where they cannot run out the door and will not be frightened by costumes and loud voices. Q: What do you do when there’s a Halloween candy emergency? 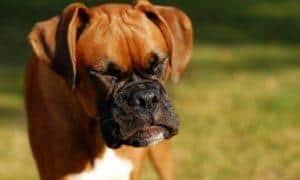 If chocolate, artificial sweeteners, raisins, or macadamia nuts are ingested by your pet, contact a veterinarian or animal poison control ((888) 426-4435) immediately. Remember, symptoms of toxicity may take hours or even days to show up. 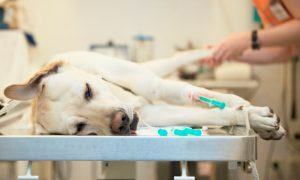 In many cases, by the time a pet looks sick, it may be too late to treat them successfully.